The new route will operate five times weekly, Wednesday through Sunday, between the months of May and October. Flights out of Newark International Airport (EWR) will depart at 11:30PM, arriving to Nice Côte d&apos;Azur International Airport (NCE) at 1:50PM the following afternoon. Four years after launching as an exclusively business-class boutique airline with flights between New York and Paris, La Compagnie has announced the launch of a new seasonal route between New York and Nice with the first direct flight scheduled for Sunday, May 5, 2019. Travelers to Nice can now book tickets and enjoy a limited-time Discovery Rate of $1,200 round-trip for the first 1,000 passengers. 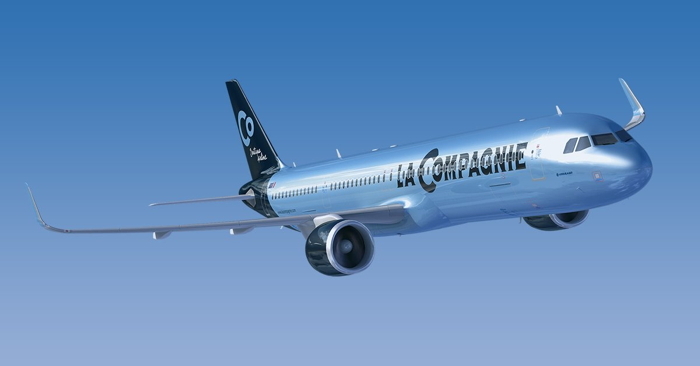 "We are excited to announce the launch of our Nice route as we continue to invest in developing the airline," said Jean Charles Périno, EVP of Sales and Marketing for La Compagnie. "This new route provides a unique opportunity for the airline to offer travelers an additional choice between two popular cities with personalized service at the most attractive fare." The new route will operate five times weekly, Wednesday through Sunday, between the months of May and October. Flights out of Newark International Airport (EWR) will depart at 11:30PM, arriving to Nice Côte d&apos;Azur International Airport (NCE) at 1:50PM the following afternoon. Flights departing Nice will be offered at 6:15PM with a same-day arrival in New York at 10:00PM. La Compagnie passengers can also enjoy service to Nice on Monday or Tuesday with connections from Paris Orly Airport (ORY) operated through a special partnership with easyJet. If you are a member of La Compagnie you may be interested in learning how to optimize your content on our network.